There is a storyteller in everyone of us hiding behind the drape of cautiousness or may be because of some introvert reasons, but when they find an audience interested in hearing what they have to convey with all ears at the narrator, they are definitely on the outset of telling something intriguing and can take you by surprise by their sheer ability to describe the plot, even when not a yarn spinner. You don't need to be a master of fiction, an animated conversationalist, all you need is a keen eye, when seeing something or an ear, when hearing, to be able to convey the story as a first hand experience. In return, they expect you to believe them, but what if these stories revolve around the topic of ghosts? Or if the ghosts themselves speak? Will you believe them? Or you will accept them as fictional entertainment? I think, that will depend upon your personal beliefs and experiences. 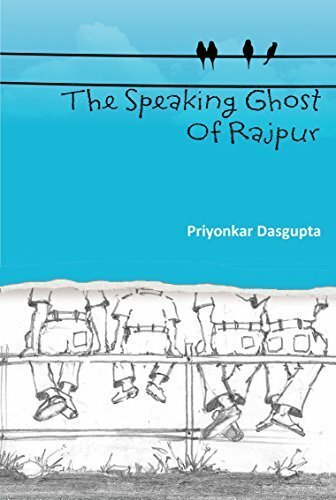 I recently read The Speaking Ghost of Rajpur, a 303 page long fiction book by debut author Priyonkar Dasgupta. The story is about a group of guys (cousins and friends) who in their attempts of being on the lookout of an adventure, encounter with a speaking ghost, who brings their previous failed attempts to a stall and mysteriously appears to interact with them, what he interacts about is for you to read and reveal for yourself. It's more about the revelation of belonging that one has towards the other and the true colors of feeling that are on display. The story of The Speaking Ghost of Rajpur starts with summer vacation and all the jazz that it has, from being happy to making plans to explore places and then ending up visiting one of the relatives, the story commences. There are many things that I have liked about the book, but there is one thing that I haven't, the prologue and the initial chapters of the book are very lengthy and the build up is slow which I think is only to describe the childhood and the fanciness associated with it. The initial chapters could have been smaller, but once you reach the start of the actual story, it will grip and hold you till it ends. The characters in The Speaking Ghost of Rajpur may seem common initially because of their behavior, but then they turn out to be unique as the story proceeds. The narration of the story is delightful and to some extent thought provoking too, it takes you on a journey less traveled and when I say less traveled what I mean is you don't encounter such situations in real life and the fictional liberty is at its best and Priyonkar Dasgupta should be applauded for his overall narration. The cover design of the book is befitting the story, but if you go with the title, it's not all out and out only about horror. Also, I am not going to tell what the ghost spoke about. The various aspects of friendship, childhood, innocence and adventure are touched upon very fine in The Speaking Ghost of Rajpur and you may feel transported to your childhood (may not be relevant to you, if you have only been in the concrete jungles). 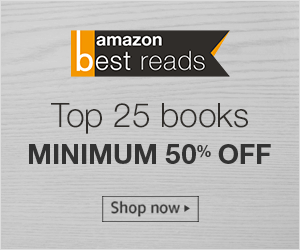 The writing style and choice of words was impeccable and they will perennially keep you longing to know more. The overall story line and plot, except the initial chapters are worth a recognition. I would recommend this book to anyone who is interested in reading fiction. I won this review copy from The Tales Pensieve as part of Reviewers Programme. Register on #TTP for lots of #book fun and activities.